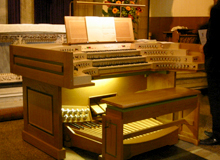 Organ Design pride themselves on their personal service and attention to detail. We happily work with diocesan advisers and are also business members of the IBO. Edward has worked on instruments such as Edinburgh Metropolitan Cathedral, The Hastings Snetsler restoration, Rosslyn Hill Chapel and Prior Park, Bath. 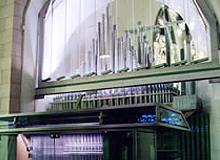 Organ Design currently cares for over 100 instruments and is the UK representative of the Danish firm Frobenius. 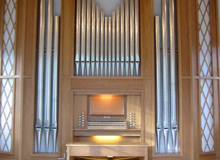 Edward started work as an organ builder with Matthew Copley, at Organ Design and Construction in 1994, having completed a course in musical instrument making and restoration at Merton College. 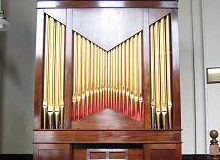 Edward work for many years as head voicer and tuner at Organ Design and Construction until Matthew Copley’s retirement in 2012.